Professor Justin Cooper-White is a global leader in using engineering to solve problems in biology. 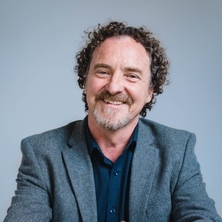 In addition to holding the position of AIBN Group Leader, Professor Cooper-White is Director of the Australian National Fabrication Facility-Queensland Node and the Associate Dean (Research) Faculty of Engineering, Architecture and Information Technology at UQ. He is a past President of both the Australasian Society for Biomaterials and Tissue Engineering and the Australian Society of Rheology. Professor Cooper-White has been appointed a CSIRO Office of the Chief Executive (OCE) Science Leader. Professor Cooper-White has many past and currently active international collaborations with world leading research groups at MIT (US); Stanford (USA); ETH (Switzerland); EPFL (Switzerland); SNU (Korea); University Of Grenoble (France); Politecnico di Milano (Italy); UCL (UK); and the Max Planck Institute (Germany). He has performed contract research and consultancy work for Unilever in the UK; Nestle International, Switzerland; Rhodia, US; and Inion, Finland since 2001. He has previously held a Visiting Professor Fellowship (2007) at ETH Zurich and currently holds a Politecnico di Milano Visiting Professor Fellowship for 2012-2013. He is the associate editor of the Korean-Australian Rheology Journal; serves or has served on the editorial boards of Rheological Acta, Soft Materials, Biomicrofluidics and the Open Biomedical Engineering Journal; and is a reviewer of major international journals, including Nature Methods, Advanced Materials, Lab on a Chip, Stem Cells, Stem Cells and Development, Biomacromolecules, Tissue Engineering, Langmuir, Biomaterials and Journal of Non-Newtonian Fluid Mechanics. Professor Cooper-White has been chair or co-chair of three international conferences, focusing on either rheology or biomaterials and tissue engineering: the Australian representative on the International Advisory Committee, 15th International Congress on Rheology, Monterey, US; a member of the International Scientific Advisory Committee for the World Congress on Biomaterials, Amsterdam, Netherlands; and currently an Australian representative on the Interntional Union of Societies for Biomaterials Science and Engineering (IUSBE). He is the inventor on six international patents. He has performed contract and sponsored research work for multinationals such as Mesoblast, Rhodia, Unilever and Nestle International and has received more than $45 million in competitive grant funding. Recognition of Professor Cooper-White’s standing in the research field is reflected in the nine plenary and more than 25 keynote presentations he has been invited to give at national and international conferences since 2001. He received the 2005 Annual Award of the British Society of Rheology for contributions to the fields of rheology and non-Newtonian fluid mechanics. His work on engineered surfaces, specifically for directing mesenchymal stem cell fate was highlighted as one the most influential works on stem cell – biomaterial interactions at the 2008 World Biomaterials Congress in Amsterdam, the Netherlands. Smart surfaces, scaffolds and diagnostic microdevices for stem cell expansion, tissue engineering and early disease detection. Professor Justin Cooper-White leads a research group with a focus on tissue engineering and microfluidics. One of the research group's projects involves developing bioengineered systems and device platforms that allow them to dissect the microenvironment in which stem cells ‘live’ during early tissue development. Variations in the microenvironment lead to the generation of different tissues.Using Australian Research Council (ARC) Discovery Project funding, Professor Justin Cooper-White’s research group has determined the importance of spacing of adhesion peptides presented to mesenchymal stem cells (MSC) in influencing morphology, migration and differentiation. MSCs presented with closely-spaced peptides are predisposed to form bone, while those on widely-spaced peptides are more likely to differentiate into fat cells. The research is showing, for the first time, that nanoscale spacing of adhesion peptides influences stem cell differentiation and adds to the understanding of how MSCs interact with their surroundings. Professor Cooper-White’s research group has developed a microbioreactor array technology platform that permits cells to be cultured under hundreds to thousands of different conditions, to work out the best conditions for growing them or differentiating them into target cell lineages - all in a device the size of a credit card. The technology has been patented and the Cooper-White research group is seeking to develop it in new applications with collaborators, with the aim of proving the value of data the technology can provide with industrial partners. Ultimately, the technology will accelerate research in stem cell development and regenerative medicine, drug screening, and bioprocess engineering, so the researchers want to take it to the world. Dynamics of drop impact on leaves and microfabricated mimics thereof. Microfluidic platforms for informed tissue scaffold development. Lee, K.Y., Cooper-White, J.J., Keen, I. and Grondahl, L. (2008). Surface modification using RF oxygen plasma in tissue engineering. In Barnes, S.J. and Harris, L.P. (Ed. ), Tissue Engineering: Roles, Materials and Applications 1st ed. (pp. 259-274) New York: Nova Science Publishers Inc.
Yu, Nicole Y. C., Schindeler, Aaron, Peacock, Lauren, Mikulec, Kathy, Fitzpatrick, Jane, Ruys, Andrew J., Cooper-White, Justin J. and Little, David G. (2013) Modulation of anabolic and catabolic responses via a porous polymer scaffold manufactured using thermally induced phase separation. European Cells and Materials, 25 190-203. Hong, Joung Sook and Cooper-White, Justin (2009) Drop formation of Carbopol dispersions displaying yield stress, shear thinning and elastic properties in a flow-focusing microfluidic channel. Korea-Australia Rheology Journal, 21 4: 269-280. The hematopoietic stem cell niche: what are we trying to replicate? Hong, Joung Sook, Shin, Su Jung, Lee, SangHoon, Wong, Edeline and Cooper-White, Justin (2007) Spherical and cylindrical microencapsulation of living cells using microfluidic devices. Korea-Australia Rheology Journal, 19 3: 157-164. Cao, Yang, Zhang, Bing, Croll, Tristan I., Rolfe, Barbara E., Campbell, Julie H., Campbell, Gordon R., Martin, Darren J. and Cooper-White, Justin J. (2006) Engineering tissue tubes using novel multilayered scaffolds in the rabbit and rat peritoneal cavity. Tissue Engineering, 12 4: 1020-1021. Davidson, R., Harvie, J. E. and Cooper-White, J. J. (2006) Simulations of pendant drop formation of a viscoelastic liquid. Korea-Australia Rheology Journal, 18 2: 41-49. Croll, T., O'Connor, J., Stevens, W. and Cooper-White, J. J. (2006) Wiping the slate clean: Development of durable, tunable surfaces on various substrates via layer-by-layer deposition. Tissue Engineering, 12 4: 997-998. Rodd, L. E., Scott, T. P., Cooper-White, J. J. and McKinley, G. H. (2005) Capillary break-up rheometry of low-viscosity elastic fluids. Applied Rheology, 15 1: 12-27. Grillet, C., Domachuck, P., Eggleton, B. and Cooper-White, J. (2005) Optofluidics enables compact tunable interferometer. Laser Focus World, 41 2: 100-+. Scaffolds, stem cells, and tissue engineering: A potent combination! Roux, D. C., Cooper-White, J. J., McKinley, G. and Tirtaatmadja, V. (2003) Drop impact of Newtonian and elastic fluids. Physics of Fluids, 15 9: S12-S12. Tirtaatmadja, V., Cooper-White, J. J. and Gason, S. J. (2002) Shear-induced structure and dynamics of hydrophobically modified hydroxy ethyl cellulose (hmHEC) in the presence of SDS. Korea-australia Rheology Journal, 14 4: 189-201. Occhetta, P., Glass, N., Otte, E., Rasponi, M. and Cooper-White, J. (2015). A Microfluidic Platform for the Establishment of Programmed Co-culture Models using an Automatic Cell Mixing Approach. In: Tissue Engineering Part a. 4th TERMIS World Congress, Boston Ma, (S161-S161). Sep 08-11, 2015. Stefani, I., Asnaghi, M. A., Mantero, S. and Cooper-White, J. J. (2015). Electrospun Poly(caprolactone)/Poly(lactide-co-trimethylene carbonate) Composite Tubes for Small Diameter Vessel Regeneration. In: Tissue Engineering Part a. 4th TERMIS World Congress, Boston Ma, (S243-S243). Sep 08-11, 2015. Titmarsh, D., Glass, N., Nurcombe, V., Cooper-White, J. and Cool, S. (2015). High-Throughput Microfluidic Screening of Human Mesenchymal Stem Cell Proliferative Responses to FGF-2 and Heparan Sulfates. In: Tissue Engineering Part a. 4th TERMIS World Congress, Boston Ma, (S92-S93). Sep 08-11, 2015. Titmarsh, D., Glass, N., Hudson, J., Hidalgo, A., Porrello, E., Little, M., Wolvetang, E. and Cooper-White, J. (2015). Multiplexed Microbioreactor Arrays for Rapid Optimisation of Pluripotent Stem Cell Maintenance and Differentiation. In: Tissue Engineering Part a. 4th TERMIS World Congress, Boston Ma, (S335-S336). Sep 08-11, 2015. Cameron, A., Frith, J., Gomez, G., Yap, A. and Cooper-White, J. (2015). Time-dependent Deformation or 'Creep' of Viscoelastic Hydrogels Leads to Rac1-dependent Enhanced Spreading, Proliferation, and Differentiation in Human Mesenchymal Stem Cells. In: Tissue Engineering Part a. 4th TERMIS World Congress, Boston Ma, (S407-S407). Sep 08-11, 2015. Wang, Ruobing, Dorr, Gary, Hewitt, Andrew and Cooper-White, Justin (2014). Effect of interaction in polymer-surfactant systems on spray drift. In: Abstracts of Papers of the American Chemical Society. 248th National Meeting of the American Chemical Society (ACS), San Francisco CA, United States, (). 10-14 August 2014. Wang, Ruobing, Door, Gary, Hewitt, Andrew and Cooper-White, Justin (2014). How conformation change in polymer-surfactant system influence spray performance through flat fan nozzle. In: Abstracts of Papers of the American Chemical Society. 248th National Meeting of the American Chemical Society (ACS), San Francisco CA, United States, (). 10-14 August 2014. Lawrenz, Anthony, Nason, Francesca and Cooper-White, Justin (2013). Microfluidic-based microarrays for rapid, efficient single-cell capture of mammalian stem cells and algal cells. In: Abstracts of Papers of the American Chemical Society. 245th National Meeting of the American-Chemical-Society (ACS), New Orleans, LA, United States, (). 7-11 April 2013. Tan, G.-K., Dinnes, D. L. M., Myers, P.T. and Cooper-White, J. J. (2011). A human knee meniscus: Characterisation of the primary culture of human meniscal cells and their response to biomimetic surfaces in 2D and 3D growth environments. In: 24th European Conference [on] Biomaterials: Proceedings. 24th European Conference on Biomaterials, EBS 2011, Dublin, Ireland, (). 4-8 September, 2011. Frith, J. E., Mills, R. J. and Cooper-White, J. (2011). Nanoscale presentation of cell adhesion motifs via block copolymer self assembly: Effect of ligand spacing on mesenchymal stem cell behaviour and phenotype. In: 24th European Conference [on] Biomaterials: Proceedings. 24th European Conference on Biomaterials, EBS 2011, Dublin, Ireland, (). 4-8 September, 2011. Punyadeera, C., Nouwens, A. S., Stokes, J. R., Yakubov, G. and Cooper-White, J. (2010). Elucidation of changes in human saliva protein profiles during resting and stimulated states. In: Human Proteome World Congress (HUPO 2010), Sydney, Australia, (). 19 - 23 September 2010. Velayudhan, Shiny, K Riddle, Martin, Darren J., L Poole-Warren and Cooper-White, Justin J. (2009). Biomechanical properties of surgical mesh prosthesis post implantation: Evaluation by hystersis method. In: Proceedings of the 8th World Biomaterials Congress. 8th World Biomaterials Conference, Amsterdam, The Netherlands, (). 28 May - 1 June, 2008. Titmarsh D., Doran M., Wolvetang E. and Cooper-White J. (2009). Full-factorial analysis of soluble factors maintaining human embryonic stem cells with a multiplexed microbioreactor array. In: Proceedings of Conference, MicroTAS 2009 - The 13th International Conference on Miniaturized Systems for Chemistry and Life Sciences. 13th International Conference on Miniaturized Systems for Chemistry and Life Sciences, MicroTAS 2009, Jeju, (1403-1405). November 1, 2009-November 5, 2009. Zhao, Chun-Xia, Miller, Erik, Cooper-White, Justin J., Dexter, Annette F. and Middelberg, Anton P. J. (2009). Interfacial elasticity affects droplet formation in microfluidic channels. In: 8th World Congress of Chemical Engineering, Montreal, Canada, (). 23 - 27 August, 2009. Zhao, Chun-Xia, Rondeau, Elisabeth, Miller, Erik, Cooper-White, Justin J., Dexter, Annette F. and Middelberg, Anton P.J. (2009). The influence of interfacial viscoelasticity on droplet deformation in microchannels. In: WCCE8: 8th World Congress of Chemical Engineering, Montréal, QC, Canada, (1-2). 23-27 August 2009. George, P., Croll, T. and Cooper-White, J. (2008). Biomaterial surface modification via self-assembly of block copolymers. In: 8th World Biomaterials Congress 2008: Proceedings of. 8th World Biomaterials Congress 2008 (WBC 2008), Amsterdam, The Netherlands, (1331-1331). 28 May-1 June 2008. Cao, Yang, Clark, Sharon F., Croll, Tristan I., Tan, Guak Kim, Dinnes, Donna L., George, Peter, Brooke, Gary, Doran, Mike, Campbell, Julie H. and Cooper-White, Justin (2008). Differential in adhered cell phenotype induced by different collagen coats of multilayered-PCL scaffolds. In: Proceedings of the Australian Health and Medical Research Congress. Australian Health and Medical Research Congress 2008, Brisbane, Qld, Australia, (302-302). 16-21 November, 2008. Doran, MR and Cooper-White, JJ (2008). Quantifying and overcoming oxidative stress in cell cultures. In: Tissue Engineering Part a. Annual Tissue-Engineering-and-Regenerative-Medicine-International-Society-European-Chapter Meeting, Porto Portugal, (901-901). Jun, 2008. Cooper-White, J., Cao, Y., Clark, S., Croll, T. and Campbell, J. (2008). Surface-mediate modulation of rMSC adhesion and phenotype in porous scaffolds cultured in the absence of soluble chondrogenic factors. In: Proceedings of the 8th World Biomaterials Congress. 8th World Biomaterials Congress, Amsterdam, The Netherlands, (). 28 May - 1 June, 2008. Cao, Y., Clark, S., Croll, T., Campbell, J. and Cooper-White, J. (2008). Tailoring surfaces and scaffolds for cell and tissue expansion - Microenvironmental control through nanomanipulation. In: Proceedings of ASTAR Biomaterials Workshop. A*STAR CCO Workshop on Biomaterials, Singapore, (). 15 December 2008. Clark, Sharon F., Cao, Yang, Croll, Tristan, Jahnke, Sani, Dyne, Al, Rolfe, Barbara, Brooke, Gary, Atkinson, Kerry, Campbell, Julie and Cooper-White, Justin (2007). Surface protein regulators of rat bone marrow-derived mesenchymal stem cell morphology. In: International Society for Stem Cell Research (ISSCR) Annual Meeting, Cairns, Qld, Australia, (). 17-20 June, 2007. Husny, J. and Cooper-White, J. J. (2005). Effect of fluid elasticity on the dynamics of drop formation in microchannel flows. In: 9th International Conference on Miniaturised Systems for Chemistry & Life Sciences. Miniaturised Systems for Chemistry & Life Sciences, Canada, (---). October 2005. McKinley, G. H., Rodd, L. E., Oliveria, M. and Cooper-White, J. J. (2005). Extensional Flows of Polymer Solutions in Microfluidic Converging/Diverging Geometries. In: Proceedings of the 4th Pacific Rim Conference on Rheology. Pacific Rim Conference on Rheology, Shanghai, China, (1-5). 7-11 August, 2005. Rodd, L. E., Cooper-White, J. J., Boger, D.V. and McKinley, G.H. (2005). Inducing strong viscoelastic effects in low viscosity, dilute polymer solutions using complex microfluidic geometries. In: 9th International conference on Miniaturised Systems for Chemistry & Life Sciences. Miniaturised Systems for Chemistry & Life Sciences, Canada, (---). October 2005. Lee, K. H., Cooper-White, J. J. and Grondahl, L. (2005). Surface modification of 3D tissue engineering scaffolds using RF plasma for improved bioactivity. In: Proceedings of: Australian Society for Biomaterials 15th Annual Conference. Aust Society for Biomaterials 15th Annual Conference, Victor Harbor, S.A., Australia, (). 31 March-2 April 2005. Maliger, R., Cooper-White, J. J., Qiao, S. and Halley, P. J. (2005). Synthesis of bioelastomers using polyesterification. In: Australian Society for Biomaterials 15th Annual Conference. Australian Society for Biomaterials 15th Annual Conference, Victor Harbor, Australia, (). 31 March-2 April 2005. Davidson, M. R. and Cooper-White J. J. (2003). Shear-thinning drop formation. In: Australian & New Zealand Industrial and Applied Mathematics Journal. Computational Techniques and Applications Conference CTAC 2004, Sydney, (C405-C418). 27-29 September 2004. Clayton, M. P., Cooper-White, J. J. and Halley, P. J. (2002). Rheology and Thermodynamics of a Model Polystyrene/High Density Polyethlene Blend. In: 25th Australasian Polymer Symposium. 25th Australasian Polymer Symposium, University of New England, (C6/2). 10-13 February. He, Y., Howes, T., Litster, J. D. and Cooper-White, J. (2001). Stabilisation Characteristics of Polymeric Surface-Active Materials. In: Prof. D.G. Wood, World Congress of Chemical Engineering. World Congress of Chemical Engineering, Melbourne, (). 23-27 September. An intergrated fluidic circuit system for digital PCR analysis, single-cell gene- expression, and high-throughput preparation of next-generation sequencing libraries. Continuous manufacturing processes for encapsulation.